Join O, Miami as we walk you through the history of the festival. Every April since 2011, the O, Miami Poetry Festival has embraced the goal of each and every person in Greater Miami encountering a poem during the month of April. Working with artists and organizations of all kinds, they’ve painted poems on rooftops, made them into tattoos, golf-leafed them into urinals, flown them behind airplanes, and sewn them into clothing tags. 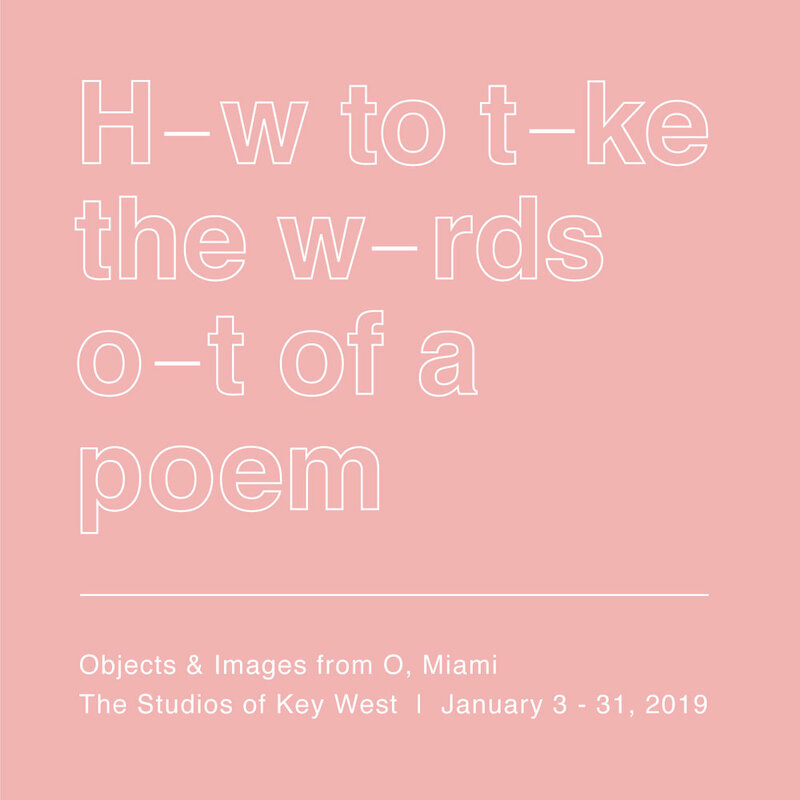 How to Take the Words Out of a Poem is O, Miami’s first-ever public retrospective, documenting the range and depth of their accomplishment with objects, photos, video and audio.